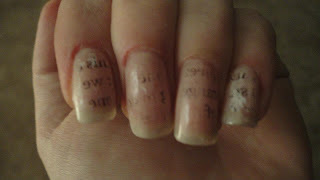 I never heard of Newspaper Nails until I saw some on Pinterest. 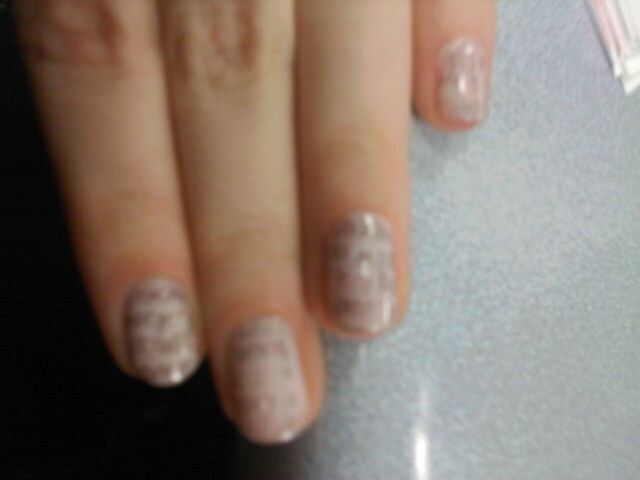 Newspaper Nails are a fun way to imprint text onto your nails for a different look. I tried this method twice so far. I found it works WAY better when I used newspaper, rather than magazine text. 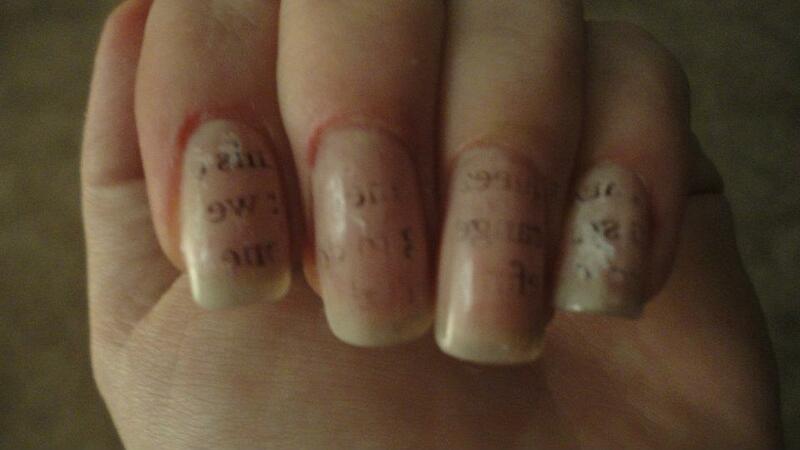 Also, dipping my nails into a bowl of rubbing alcohol worked way better than using alcohol wipes.